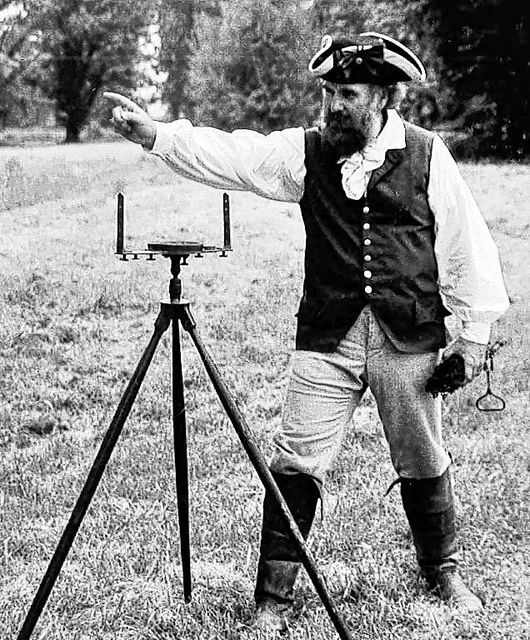 Retired professional surveyor James L. Williams, a semi-professional historian who frequently lectures about pioneer-era surveyors and surveying, will speak during the 7:30 p.m. July 14 Big Walnut Area Historical Society meeting. Williams has lectured at the Virginia Military Institute, Ohio State University, Ohio University, on the battlefield at Gettysburg and at Fort Recovery. He is a regular presenter of one-day seminars for the County Engineers Association of Ohio, the Professional Land Surveyors of Ohio and the Surveyors Historical Society. Williams said his research began 30 years ago while preparing a lecture series for the Professional Land Surveyors of Ohio. Over the years, the material he discovered at the Ohio Historical Society grew, as well as material that other surveyors and county engineers shared with him. After a friend asked Williams in 2007 what would happen to all this research after he is gone, he started working on a book. Seven years of writing and 30 years of research later, “Blazes, Posts & Stones: A History of Ohio’s Original Land Subdivisions” is now being printed and will soon be on bookstore shelves. Williams’ wife, Denice, will be with him at the Myers Inn Museum in Sunbury on July 14, selling the few remaining pre-publication copies of his book. All Big Walnut Area Historical Society meetings and lectures are free to the public.